Chechen leader Ramzan Kadyrov said on Tuesday that he wanted to quit his high state post and leave for Ukraine’s Donbas region to help the local militias, the NTV channel reported on its website. Commenting on initiation of criminal proceedings against him in Ukraine and Kiev’s threats to put him on the international wanted list, Kadyrov told NTV’s “Bez Kupyur” (Without Banknotes) program that they could keep wagging their tongues for as long as they liked. “They can keep saying whatever they like. 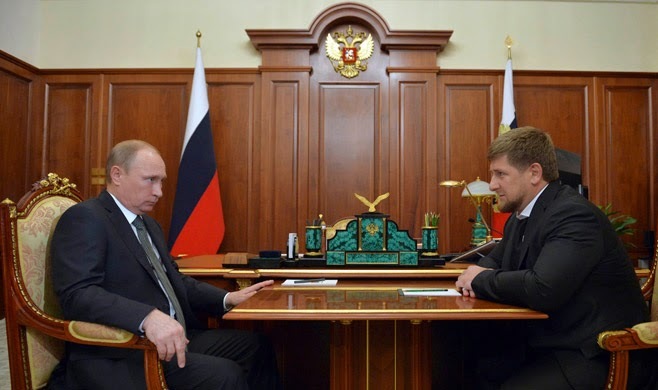 But I am going to ask the (Russian) president for permission to quit my post in order to go to Donbass to protect the interests of those citizens who are fighting there now,” Kadyrov said. For the past five years, the situation has been more or less quiescent, though neighboring republics have been rocked by violence. The lull in Chechnya, however, ended in early December with a series of bloody incidents in the Chechen capital of Grozny. The group behind the resurgence of unrest is advocating a “Caucasus Caliphate,” with ties to al Qaeda and, more recently, Islamic State. There is at least an indirect tie between outside support for Islamic radicalism in the Caucasus and Putin’s sponsorship of Russian secessionism in eastern Ukraine. The Chechen wing of the North Caucasus insurgency that claimed responsibility for the attack on Grozny on December 4 is planning a follow-up attack on the city to mark the New Year, according to Akhmed Umarov, elder brother of the late Caucasus Emirate founder and head Doku Umarov. Chechen Republic head Ramzan Kadyrov identified Akhmad Umarov as having organized the December 4 attack, and vowed to seek his extradition from Turkey, where according to Kadyrov he currently lives. In a 15-minute video clip posted late on December 13 on Checheninfo.com, the website of the Chechen wing of the North Caucasus insurgency, Akhmed Umarov warned Kadyrov in the name of the Chechen militants that they will launch a new attack on Grozny unless Kadyrov desists from his efforts to block their food supplies. (Two men were apprehended in Chechnya’s Sunzha district in September on suspicion of providing food supplies to the insurgents. Umarov quoted the fighters as admitting that they are experiencing problems in obtaining supplies, and "we are fed up with this." Russia’s Federal Security Service director Alexander Bortnikov said on Tuesday one of the priorities in 2015 would be to improve the system for combating terrorism in Crimea. “The priority task of the NAK (National Anti-Terrorist Committee) and the Federal Operative Headquarters in 2015 will be to improve the regional segment of the nationwide counter-terrorism system in Crimea, including its preventive components,” Bortnikov said at the National Anti-Terrorist Committee session. China is pushing for a collective security arrangement, with Russia and Central Asian countries as partners, which would focus on countering mega-terror strikes along the New Silk Road. 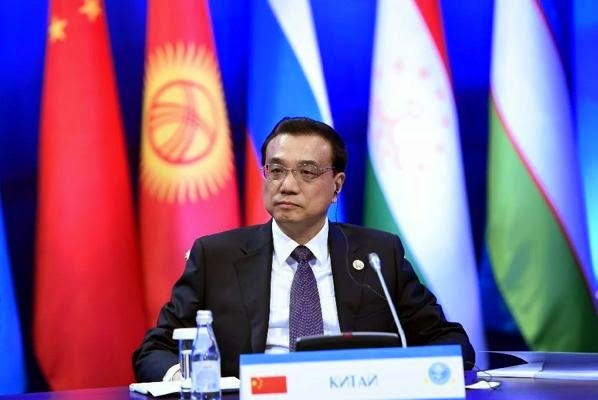 On Monday, visiting Chinese Prime Minister Li Keqiang, proposed in Astana, the capital of neghbouring Kazakhstan, that the Shanghai Cooperation Organisation (SCO)—a six nation grouping led by Beijing and Moscow---should become the guardian of Eurasia. During his address to the 13th meeting of Prime Ministers of SCO in the Kazhak capital, Mr. Li called for a new center which would foresee future security challenges to Eurasia. He also called upon partners to hone mechanisms that would to curb terrorism, and target drug trafficking, along with cyber-crimes. According to reports, the government of Afghanistan is expecting to resume peace talks with the Taliban group in Qatar in the near future. 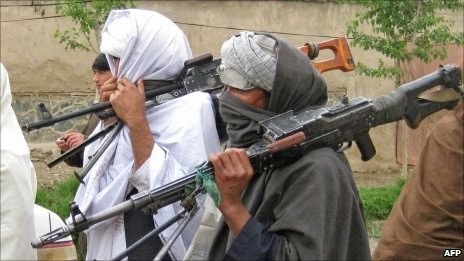 An official in Afghan High Peace Council (AHPC) has confirmed that the talks are likely to resume with the Taliban group within the next one week. The official further added members from the Afghan High Peace Council, Taliban group and Pakistan are expected to join the talks. Villagers in Afghanistan's northern Jowzjan Province claim Turkmenistan is stealing their agricultural land and are threatening to attack Turkmen border guards. Muhammad Sahi Yhsan, the chief of the Qarqeen District told RFE/RL on December 17, villagers came to him to complain about Turkmen border guards setting up posts that according to the villagers, are some 30 to 35 kilometers deep into Afghan territory. Yhsan said the villagers threatened to attack Turkmen border guards unless Afghan authorities can resolve their problem. Taliban militants, consisting mainly of the Tajik nationals, have abducted the employees of the Sher Khan Bandar customs post on the border with Tajikistan, the Afghan authorities said on Thursday. Kunduz province police spokesperson Sayidsarvar Husaini said the majority of kidnappers were the citizens of Tajikistan. “All the hostages are workers of the Sher Khan Bandar. They were kidnapped in nighttime while going home,” the Tajik service of Radio Free Europe/Radio Liberty cited the spokesperson as saying. Certain terrorist organizations penetrate to Tajikistan under the guise of refugees, according to the State Committee for National Security of Tajikistan representative, Abdulmadzhid Soliyev, the Tajik service of Radio Free Europe/Radio Liberty reported today. "Foreigners come to our country from Afghanistan. All of us are familiar with the situation in the country. According to the sources of Tajik law enforcement agencies, some refugees are active members of terrorist and extremist groups," he said. "In order to ensure national security, it was suggested to settle the refugees outside the cities of strategic importance. 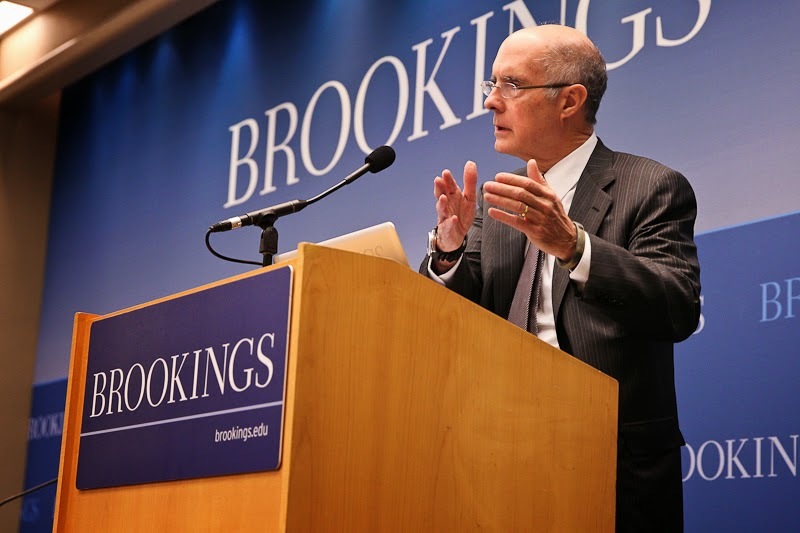 The same rule applies to the experience of developed countries," Soliyev added. Tajik Interior Ministry Ramazon Rahimzoda yesterday met here with Mr. Ma Wei (phonetically spelled), Deputy Chief of Department at the Ministry of Public Security of China (MPS), according to the Interior Ministry press center. In the course of the talks, the two reportedly discussed issues related to state and prospects of further expansion of bilateral cooperation in combating terrorism, extremism, separatism and drug trafficking. Rahimzoda and Ma expressed confidence that the planned joint exercises for Tajik and Chinese special police units will help carry out joint operations in various climatic conditions, the press center said.